Posted August 14, 2013 by davezumbekphoto & filed under About / My Views. When most of you associate the words “height” and “photography”, you probably think about the super models you see in the fashion world. 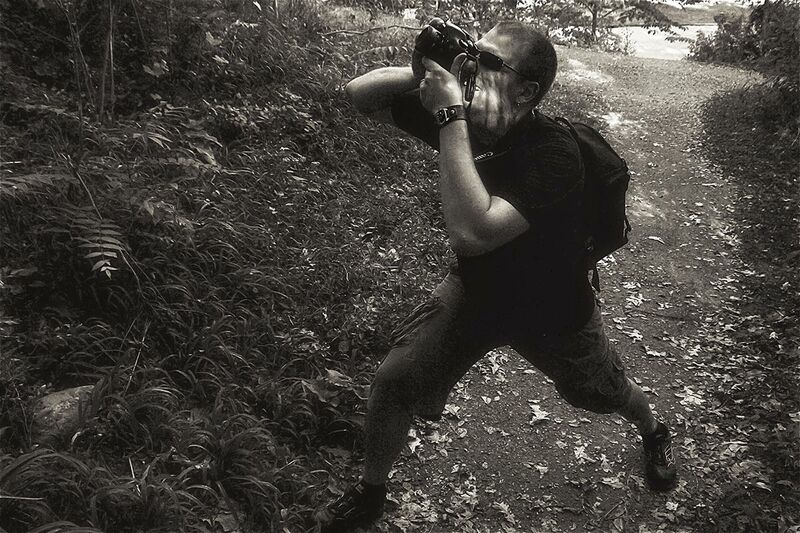 However, I am referring to a different viewpoint…the one of the photographer. Those of you I have been lucky enough to work with know that I am obnoxiously tall. At 6’8″ I tower over most others I encounter. My height may have intimidated some of you at first, but I am sure you quickly learned I am a gentle giant. Initial impressions aside, there are some very beneficial aspects to my above average build. Over the years, I have learned my size can offer some very distinct advantages during photo shoots. The angle of the camera to a subject can make or break a photo. This was something I discovered early on. This is especially true when it comes to photographing people, and this notion touches upon all the genres of photography in which I specialize. Higher angles of the camera relative to the subject result in more flattering portraits. This helps the subject lift their chin up, creating nice shadows and flattering definition to their face. Lower angles on the other hand…not so much. A low camera angle in relation to the subject can result in awkward shadows, up-the-nose views, double chins, and other general unpleasantries. This article does a great job of illustrating how the different camera angles affect the resulting image. Due to my height, I naturally shoot my subjects from a higher angle. Not only do I find this incredibly easy and comfortable , but the photo results are usually great. That’s one of the biggest advantages of my stature. There isn’t much I need to do in order to achieve a higher angle in relation to the subject I am shooting. Its rare that I come across others as tall or taller than myself. In the rare instance, a hop up on a curb, stool, or chair put me back on top again. The image below illustrates my everyday point of view. 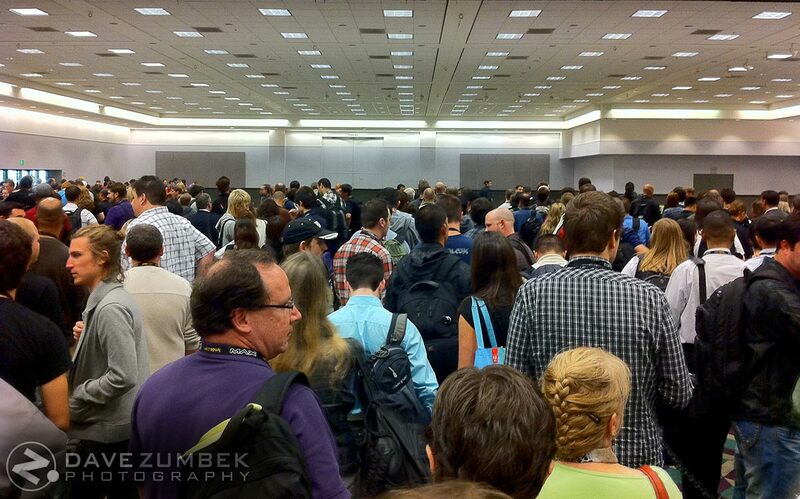 Captured with my iPhone from my eye level, this image illustrates my view in a crowded place. In general, other photographers do not possess the advantage I have. 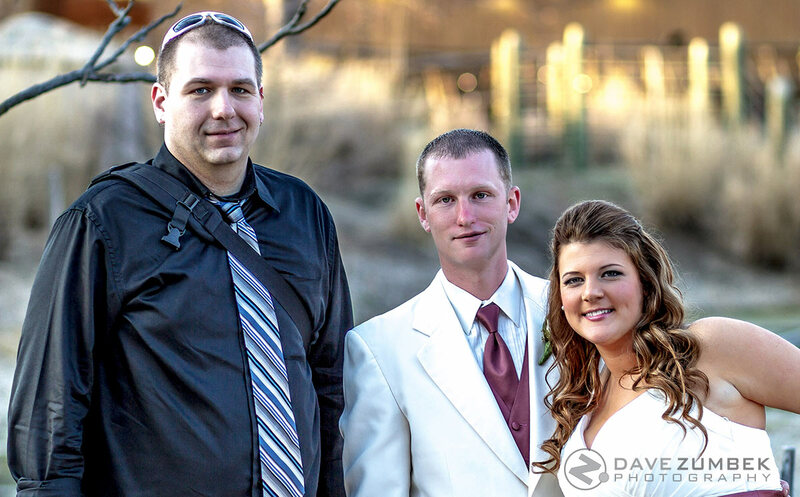 I was a groomsmen in a wedding last fall. The photographer was a short female. For many of the group shots, she had a ladder on hand to climb up and shoot from in order to achieve a nice, high angle. I thought this was comical, but apparently not that uncommon. I have seen several in studio and on location action shots of photographers on ladders and step stools. The height advantage was something I never really thought about with photography until I witnessed what others had to go through to achieve the same results. Perhaps this is something I previously took for granted, but have come to appreciate. Unfortunately, the natural downward angle I shoot at with most people may be too extreme for those who are shorter…especially with children. However, its usually easier to make oneself shorter rather than taller by hunching over or squatting. I have been told at times I can look silly shooting in certain hunched and squatted positions. I don’t usually think about it much, I am more focused on framing my shot and aligning my lens by any means necessary to get the best angle. One position I use to get lower than normal is what I refer to as the “Power Stance”. Photo by Rachel Proper, Illustrating Dave Zumbek’s Power Stance. Looks a little silly, right? As ridiculous as I look at times, my tactics get the job done. 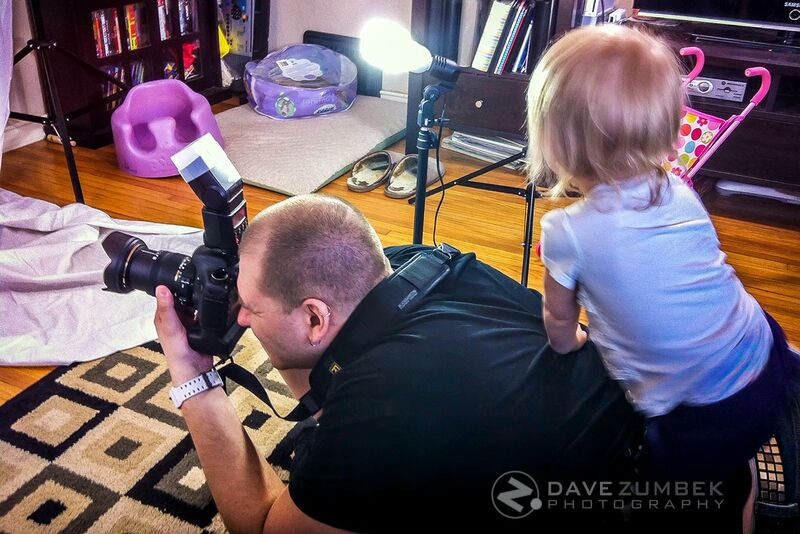 The real challenge comes into play when I am shooting with small children, especially babies or toddlers. Utilizing the power stance or hunching over still doesn’t cut it. The little younglings are just too close to the ground for me to capture with flattering angles. Logic may say that if you can’t get to their level, bring them up to yours. Not always easy with the little ones. Unless they are real young, they most likely won’t sit still for you. Putting a small active child up on a chair or elevated platform is hazardous. I am left with no choice but to get on the ground as low as I can in these situations. Sometimes, this leaves you a bit vulnerable as a spontaneous jungle gym…a small sacrifice to pay in order to land the shot. Sometimes you have to get low to get the shot. Hello Dave, thanks for the link. As a ‘vertically challenged’ person I’m jealous of your height! I often have to carry around a small set of steps for portrait work!